When a baby is born, and just after, is one of the most important milestones in a family. Before you realize it, the moment is passing and your baby is growing and changing. 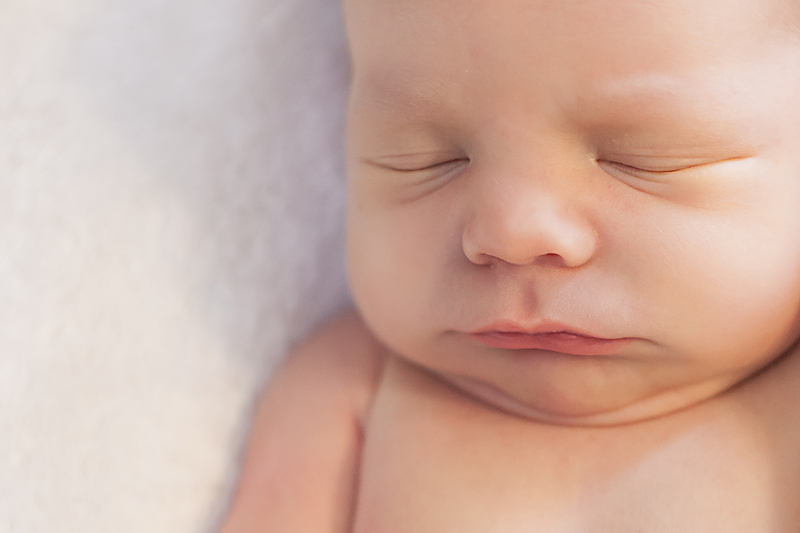 Six months from now the picture of his newborn face may fade from memory, but a photo captures and preserves the curve of his nose, his wispy eyelashes, his tiny fingernails, and his soft puckered lips. Pregnant bellies and newborn babies change DAILY! It’s important to schedule your session as soon as you’ve decided to book. Families who wait until the last minute will sometimes wait too long, and end up delivering before they can get maternity images taken; or the excitement of a newborn baby takes precedence over calling a photographer for a session. My advice is to plan your photography session now, before your life gets even more hectic. • In-home newborn sessions ARE NOT POSED. I don’t put babies in baskets or wagons or hammocks. I’ve tried that and it’s just not my style. 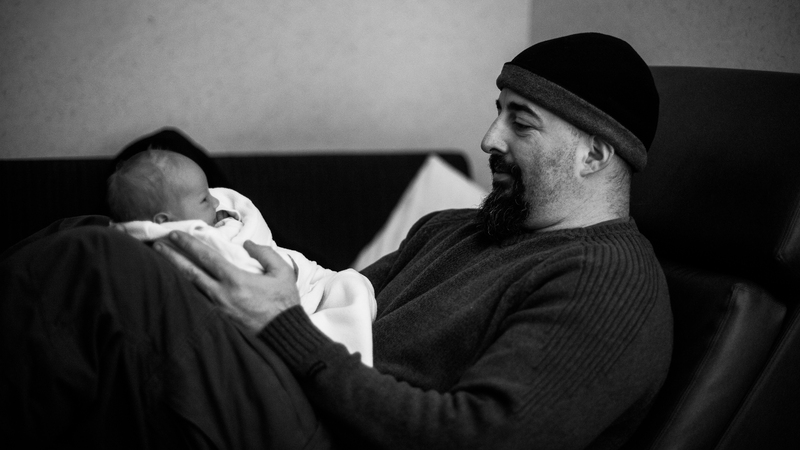 I love to capture a baby’s first few days of life in an authentic setting, surrounded by his or her loved ones. Newborn sessions are shot much like a regular family photo session, but with a heavy focus being on the new baby. • A “Fresh 48” session is done within the baby’s first 48 hours of life, shot on location wherever the baby was born (hospital, birth center, home, etc.) 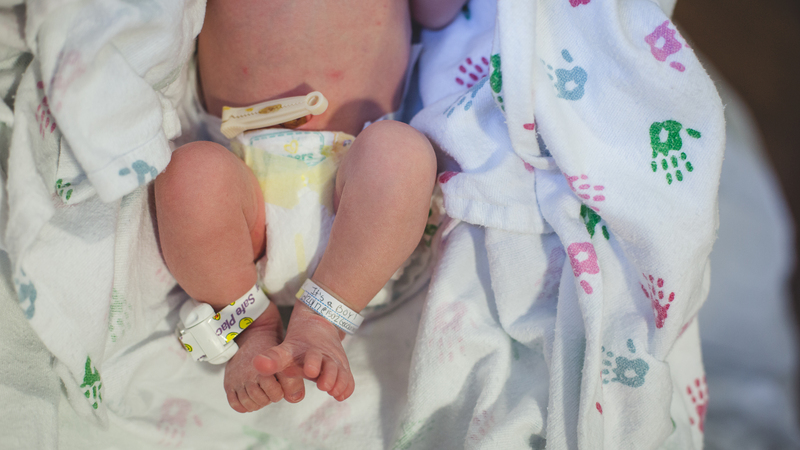 These photos capture the baby’s very first hours of life and are meant to have a documentary feel to them. Call me when you’ve gone into labor so I can be ready to meet your new little one! • Breastfeeding sessions are for children of ANY AGE. I have shot mamas with their newborns all the way up through preschoolers. 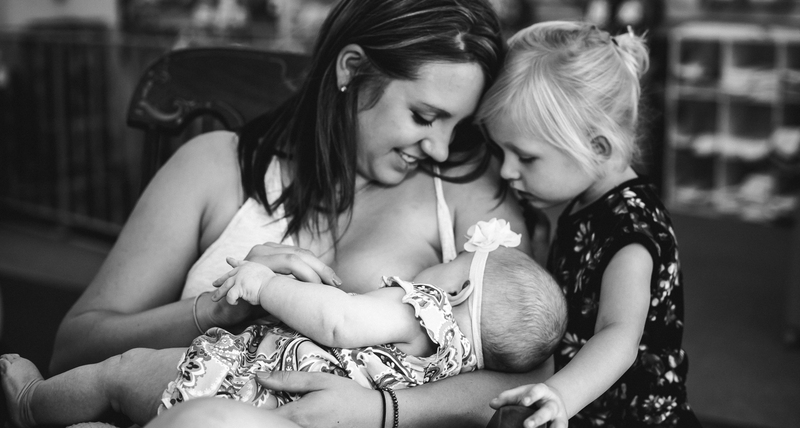 Breastfeeding is a very special time in the mother-child relationship, but sometimes it is brief though it is always unique. A selfie just can’t ever do it justice. Breastfeeding sessions are done in the client’s home. • Maternity sessions also ARE NOT POSED. I don’t have pregnant mamas wear a flowy gown, standing in a field of tall grass. 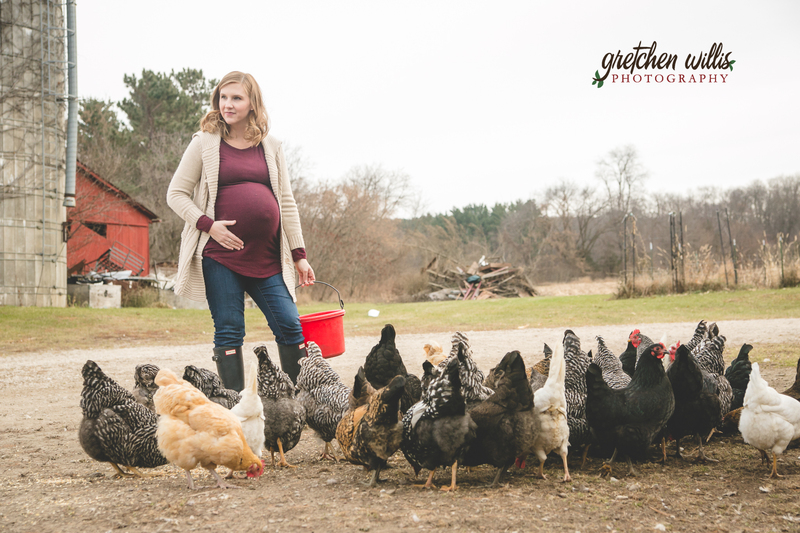 I truly enjoy capturing a pregnant mama’s growing form while she’s being herself and waiting for her baby’s big arrival. Maternity sessions are typically scheduled around the 8th month of pregnancy to show off the mama’s glowing curves. New Beginnings session images can be very personal and being the parent of a little one – whether it’s your first or your sixth or more – has its own little challenges right alongside the grand celebrations. I want to capture your family during this special time that will be here today but gone tomorrow. Session pricing – I am an ALL-INCLUSIVE photographer. That means I will shoot your session, then edit certain number of images and deliver the digital files to you after your session, on a USB flash drive, along with a print release for unlimited personal use. You won’t need to choose which images to keep or reject; you’ll get all the images in your gallery. • Standard Session – $350 – 35 digital images + print release + about an hour of shooting time. This session is for ONE type of shoot. • Extended Session – $550 – Two sets of 35 digital images + print release + two sessions lasting about an hour each. This session is for TWO types of shoots. Bonus: when booking the Extended Session, client will receive one complimentary 11×14 print. • Complete Session – $750 – Three sets of 35 digital images + print release + three sessions lasting about an hour each. This session is for THREE types of shoots. Bonus: when booking the complete session, client will receive one complimentary 11×14 canvas wall display. *additional sessions may be added later, but will be subject to an additional, discounted retainer fee. Ultimately you decide which session you want. Your full amount due is calculated by retainer fee + session fee + additional (optional) products. If you’re unsure about which package to choose, just ask me and I’ll talk you through it. 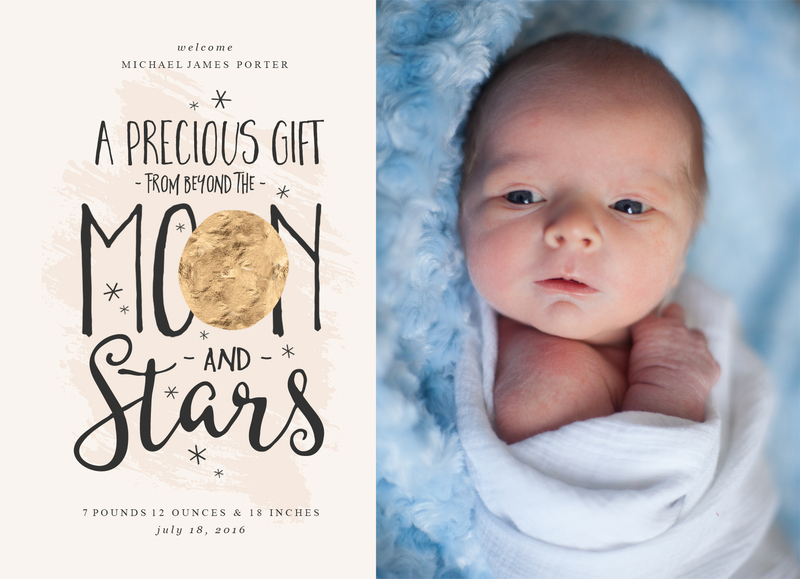 Sometimes a family member likes to give a photo session as a baby shower gift; I can do that! I also offer gift certificates in any amount for session fees or product purchases. Delivering your images – Two weeks after your session, I will send you a link to a password-protected online gallery of your session images. You will be able see your photos while you’re waiting for your USB to arrive. You can also share the link with family and friends, where you all may view the images and order prints and products from your online gallery. A great option that I offer for my clients is the opportunity to order extra USB copies, so every family member can have their own set of the session images. Your USB flash drive of digital images (and products, if you’ve ordered those) will be delivered to your home – by me, if you’re local; by your mailman if you live out-of-town. My product offerings include what you’d expect (professional prints, canvases, albums) as well as what you might not expect (acrylic photo prints, custom birth announcements, and jewelry). I know you can find lots of photo products online and in the photo department of big retailers, but I stand behind the quality of every product I sell. If you don’t like what you’ve ordered, simply return it to me and get 100% of your money back, no questions asked. Whether you order prints from me, or print your images at a retailer of your choice, please print your images! Along with your print release, I include recommendations for print labs as well as instructions for how to protect your images. Taking and preserving images of the people we love is a gift for future generations. Still have more questions about booking a session? Check out this list of frequently asked questions, or just shoot me an email and we can talk some more.